LUND, SWEDEN: Lund is a beautiful and peaceful university town with no world-famous landmarks or attractions other than Lund Cathedral. That’s why, this is a great place just to relax and enjoy its lovely atmosphere. The city was founded at the end of 10th century. Although the town is not that lively during summer when all the students are in break, this old town has its own charm to make its tourists keep coming back to it. There are some small squares here and there scattered thru out older part of the city and most of them have some cafes, surrounded by old buildings, and are good places for the locals and tourists to hang around. 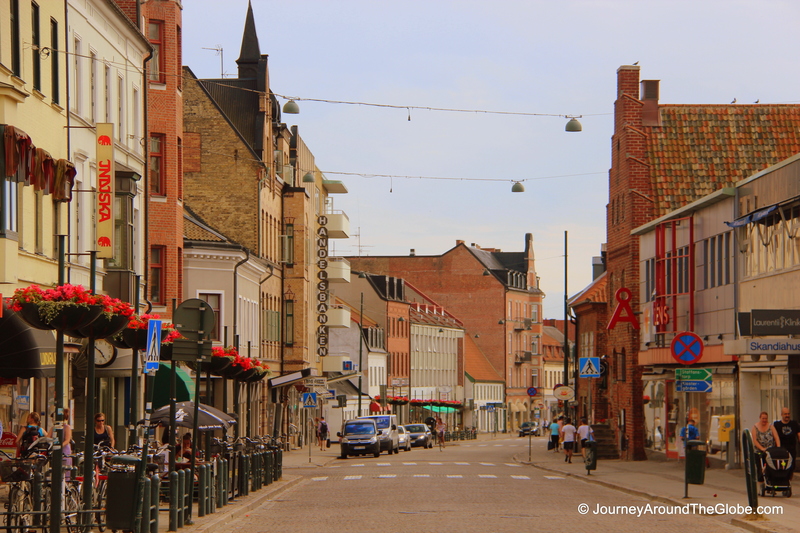 All the main spots in Lund are within walking distance and can be done in a day in a very relaxed way. 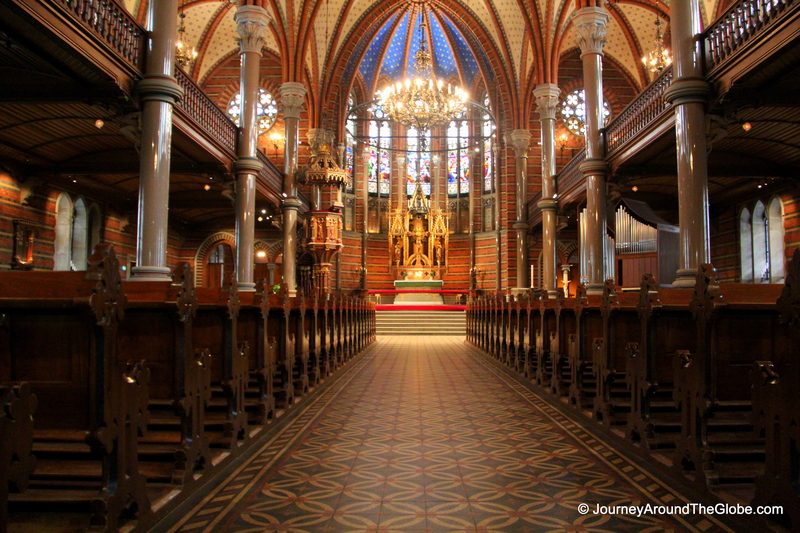 TIME OF TRAVEL: We visited Lund during our stay in Malmo in July 2012. This was part of our road trip and I am glad that Lund was in our list. Summer is usually very pleasant here. We saw some forecast of rain for the day we drove there, but luckily the weather turned out great with some black clouds at the end of the day. WHAT TO EAT AND BUY IN LUND: You can get lots of Swedish souvenirs here in store but the problem is to find a souvenir store where you can buy some stuff. We finally found one near Radhus and Stortorget. Swedish soccer jersey/t-shirts, Viking ships, and dolls are memorable things to buy from here. Lund has lots and lots of kebab stores everywhere and that’s what we had for lunch there. Most of the kebab places sell pizzas and burgers. 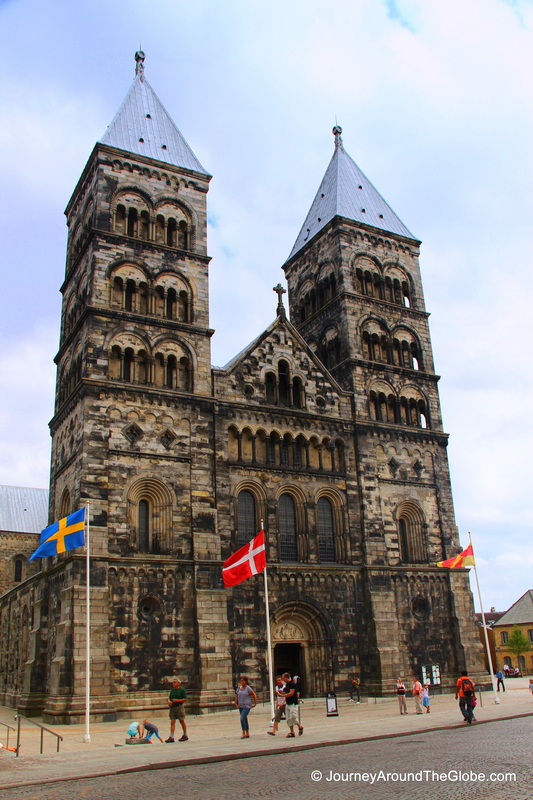 PLACES WE’VE VISITED IN LUND: We only spent a day in Lund. 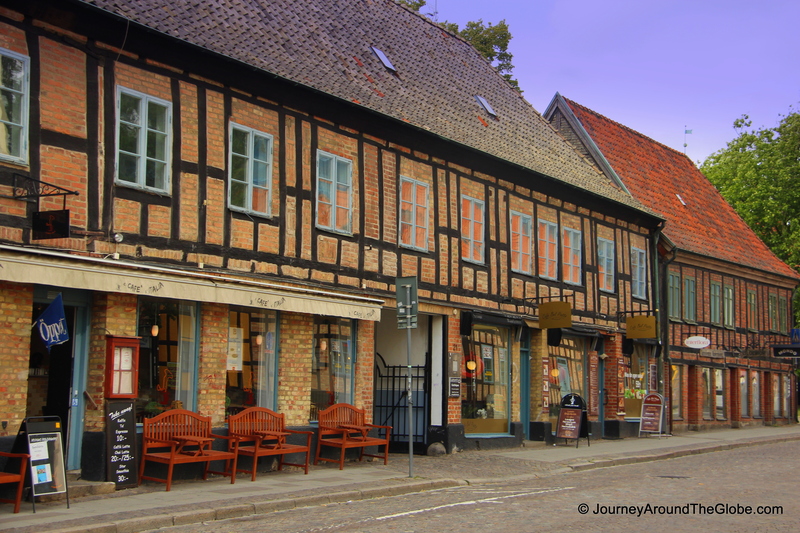 Although there aren’t too many things to do in Lund, it’s a cozy little town with lots to absorb in. There is a tourist information office in Stortorget right beside Radhus, where you can pick up city’s map and start your journey from there. 1) LUND CATHEDRAL & ASTRONOMICAL CLOCK SHOW: The church was completed in 1145 and is the 2nd largest cathedral of the Nordic countries. Crypt is the oldest part of the cathedral which is in the basement. There are some really old tombstones and graves of various saints. 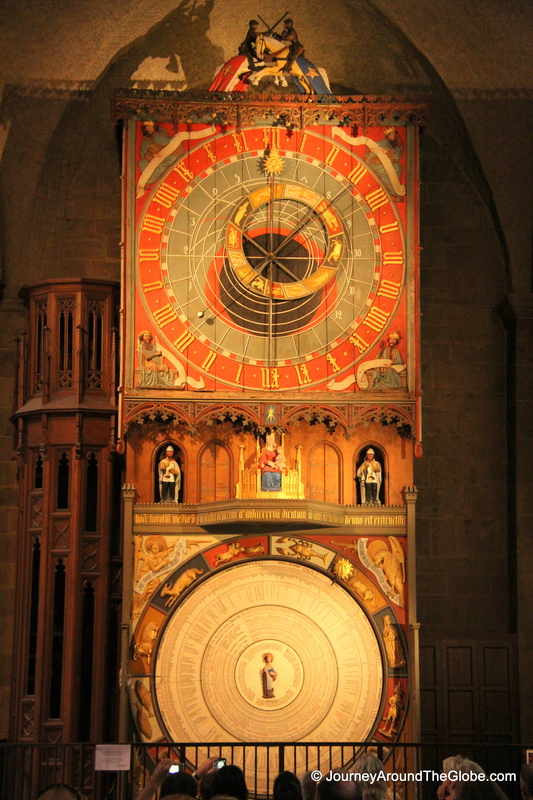 The astronomical clock is located on the left side when you enter the cathedral. This amazing clock has calendar from 1923 – 2123 at the bottom and moves its disc at mid-night. This is very similar to the ones in Munich Rathus or old town hall of Prague. The astronomical clock show puts on a show twice everyday: Mon – Sat at 12 pm and 3 pm and Sundays at 1 pm and 3 pm and lasts for about a minute. There is an English & Swedish guided tour for the astronomical clock show 15 minutes before it starts and continues after it ends. The church is located right beside Stortorget. There is no fee to go inside. 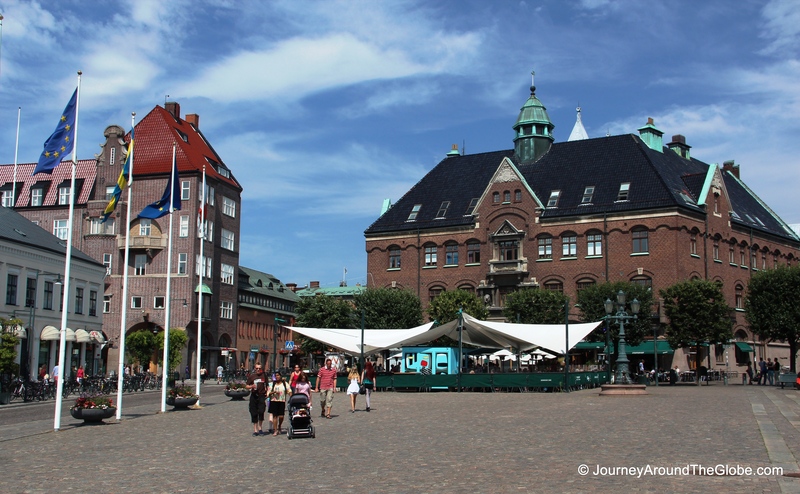 2) STORTORGET & RADHUS: Stortorget is the biggest square of Lund which houses Radhus or City Hall. This is a rather simple square with only one or two restaurants. The town hall is not that impressive either but it felt good to sit down there with our take away kebab from a nearby kebab fast food place and eat there while watching the locals pass by. 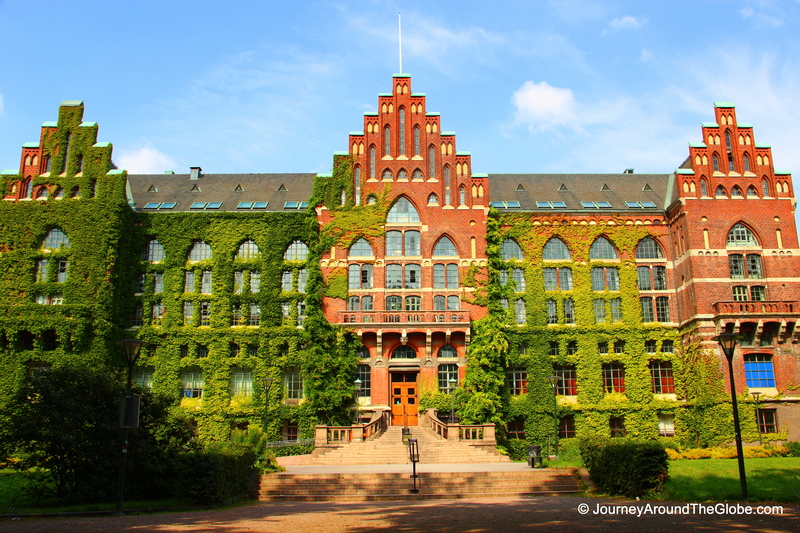 3) LUND UNIVERSITY & LIBRARY BUILDING: The main building of Lund University is located very close to Lund Cathedral. It’s an imposing white building with a big fountain in the front. There is another brown building, Lundagård, on one side of the fountain which dates back to the 16th century was Lund’s only university building at that time. The surrounding is very clam and quiet with many varieties of trees shading the areas. This must be a popular hang-out place when the university is open. 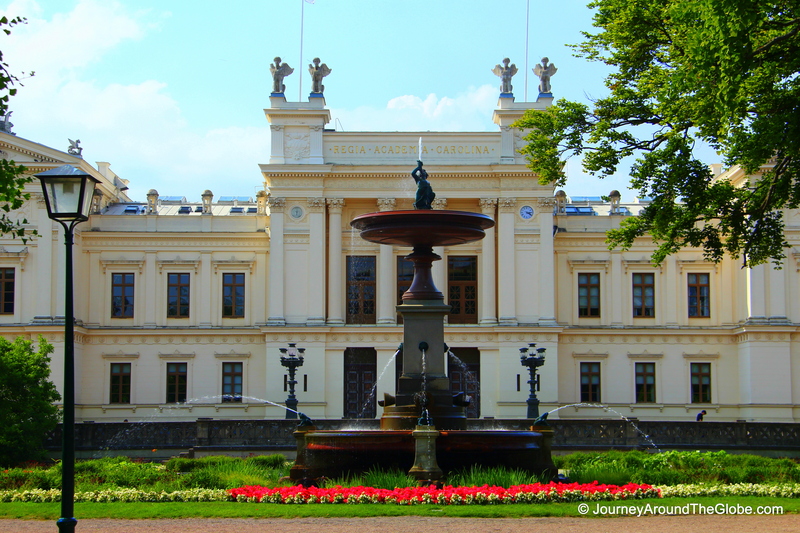 The Library building of Lund University is located in another serene and peaceful area of the campus. The front façade of this building is covered with green creepers; only the windows and the main doors could escape from the branches of these plants. We didn’t go inside the library, but the whole building looks fascinating from outside. I can imagine this place when classes start and hundreds of students walking, relaxing, studying, chatting, eating, or Facebooking in that area…such a lovely place to refresh your mind. 4) ALLHELGONAKYRKAN (ALLHELGONA CHURCH):This is a beautiful, modern church (built in 1891) very close to the university library building. I absolutely fell in love the moment I walked into this church. Exterior is made with simple red brick but inside the church is gorgeous with red bricks walls and colorful ceiling and floor. There are some stained-glass windows on the 1st level as well as on the 2nd level. The altar is also very decorative with blue ceiling on top. This is a must see in Lund. It’s open Mon – Fri: 9:30 – 4:30 pm. 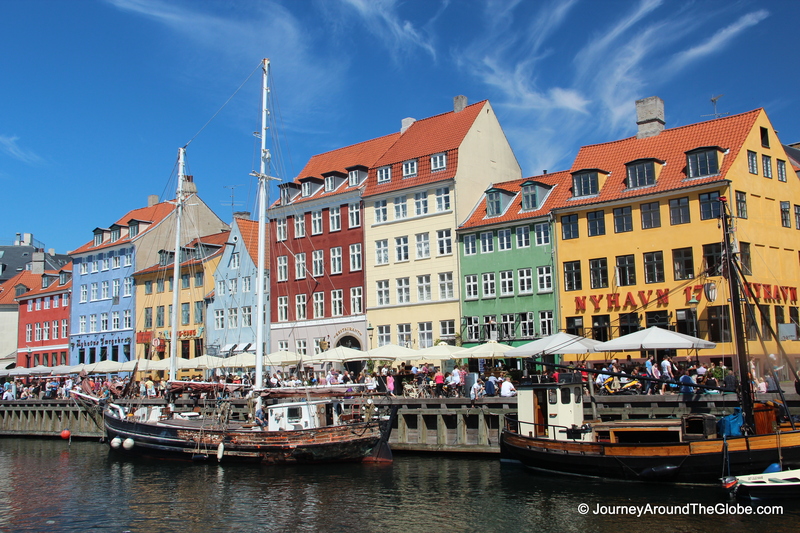 5) TRIP TO COPENHAGEN: Do I need to introduce Copenhagen to anyone? This is the capital of the oldest kingdom in the world, Denmark. There are tons of things to do and see here. Nope, one day or two days aren’t enough for this historical town. The city has 6/7 castles, many old churches, world-famous statue, mind-blowing harbor, and not to mention, energetic locals and Danish food. Whatever time you have, Copenhagen is an awesome city to capture the blend of both past and present. Just one thing to keep in mind is that you have to pay about $50 or 310 DKK to cross Oresund Bridge to get to the other side of the river, if you are driving. 6) TRIP TO MALMO: This is a Swedish city, bordering Copenhagen Denmark on the other side of Oresund sound, less than half an hour of drive from Lund. This makes a good day-trip if you are into castles, old cobbled stone pedestrian streets, roaming around in homely squares, and finally, some beach time. 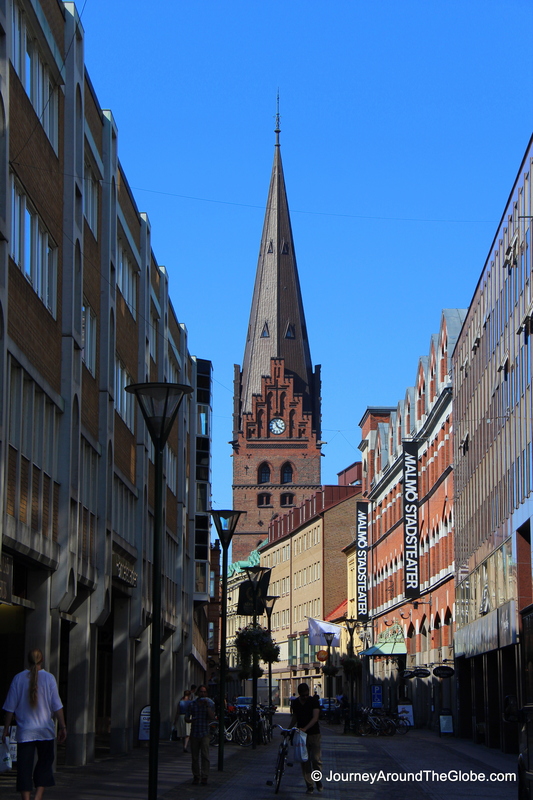 Malmo is bigger, busier, and more diverse than Lund; therefore, it’s a great spot for shopping and eating while doing some sightseeing. What a charming and peaceful town in Sweden. Really liked the astronomical clock!